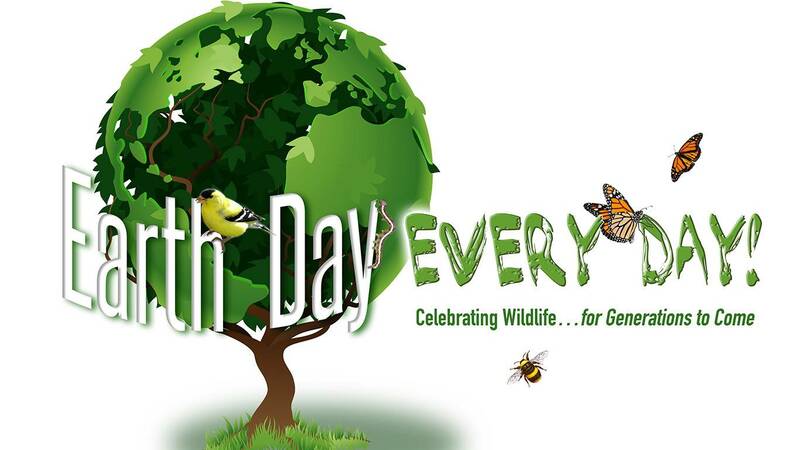 Panhandle PBS will team with the Amarillo Zoo for a series of activities in April to celebrate Earth Month. For three consecutive Saturdays in April – April 9, 16 and 23 – kids with a paying adult will get in free and will have the chance to learn more about becoming a better steward of our natural world. Zoo admission is $4 for adults and $3 for children. Activities run from 10 a.m. to noon each Saturday at the Zoo, 2401 Dumas Drive, each tackling a different environmental focus. Taking pictures with the Zoo’s tiger mascot and Curious George from PBS Kids! Live wildlife show at 10:30 a.m.
Keeper chat and enrichment activity featuring the Zoo’s Bengal tigers at 11:15 a.m.
Live animal show on prairie wildlife at 10:30 a.m.
Zookeeper chat on North American bison at 11:15 a.m.
Meeting Blaze, the Zoo’s costumed bison mascot at 11:15 a.m. Receiving free Wonderland Park passes at the Panhandle PBS booth. The first 200 kids will receive a free potted parsley suitable for attracting butterflies, courtesy of Canyon’s Edge Plants. Make a milkweed seed bomb” to help the Zoo’s monarch butterfly café. Plant a wildflower garden to take home. Plant sale featuring perennials and annuals suitable for attracting butterflies and hummingbirds from Canyon’s Edge Plants. Plant a desert willow seed in a take home pot. Make a feather friend seed treat. Get your picture taken with Ruby, our costumed hummingbird character. Learn how to help save the monarch butterfly. Watch new Nature Cat and Wild Kratts programs on protecting and preserving our natural world from Panhandle PBS and PBS Kids. Free Wonderland Pass per family at the Panhandle PBS booth. Check back here soon for more information on the April 23rd event activities which will focus on global wildlife issues, particularly tigers. Curious George is coming on the 23rd as well! Through these events, the Amarillo Zoo and Panhandle PBS hope to create special experiences that help children and their families explore the outdoors together, while learning about protecting the animals and habitats of our planet. These events are supported in part by a grant from PBS Kids. For more information, please call the Amarillo Zoo at 806-381-7911 or visit AmarilloZoo.org or panhandlePBS.org.